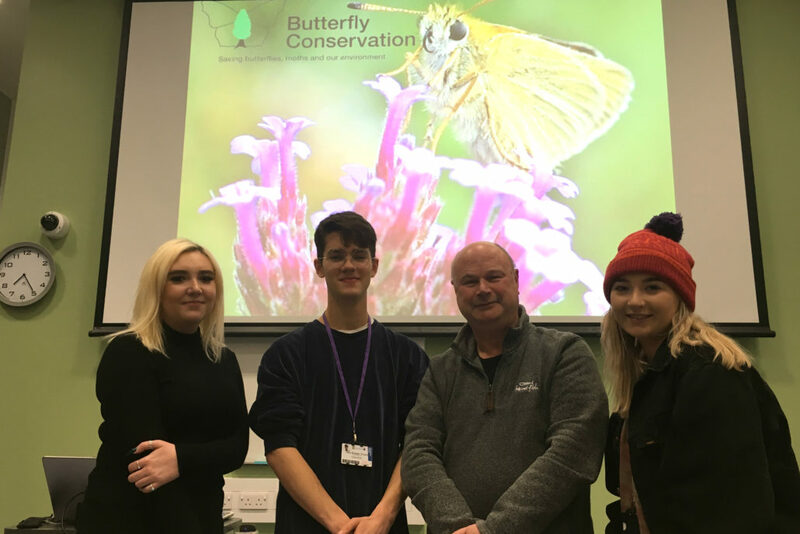 The staggering decline in Cheshire’s butterflies and moths and the conservation work carried out by local volunteers to help them were described at the latest public lecture at University Centre Reaseheath, Nantwich. Rupert Adams, Conservation and Education Officer for Butterfly Conservation Cheshire & Wirral, examined the fluctuating fortunes of different species and, in particular, the pressures brought by climate change. Richard, who is also Butterfly Recorder for the county, revealed that, in line with much of the UK, the number of Cheshire butterflies has plummeted by 75% over the past 20 years. Factors have included habitat fragmentation, urbanisation, climate change, pollution and changes in agricultural and forestry policies. He called on gardeners to select shrubs and plants which provide food for butterflies and for anyone interested in scientific projects such as habitat monitoring and butterfly counts to get in touch at www.butterfly-conservation.org/volunteer. For more about the free series of lectures being held at University Centre Reaseheath here. Reaseheath event celebrates Cheshire food producers Could you host some beehives?